​Forget Knitting. These Women’s Clubs Can Help You Build Your CareerBook clubs these empowering organizations are not. And chances are, there’s one coming to your city. ​Virginia Woolf’s assertion that “a woman must have money and a room of her own” feels particularly real these days. Blame it on politics, media, popular culture—all of them combined—but more and more the need to carve out a place devoted to our passions and pursuits feels necessary, dire even. And apparently, that urge is reaching a critical mass, thanks to a new kind of women’s club that is making it easier (and more enjoyable) to find a room of one’s own. The word “club” has varied roots—from the literary women’s groups of the 19th century to the smoky patrician bastions of male privilege of the early 20th century—but the new model for women’s clubs is far more evolved, with a focus on building community rather than advancing social division. 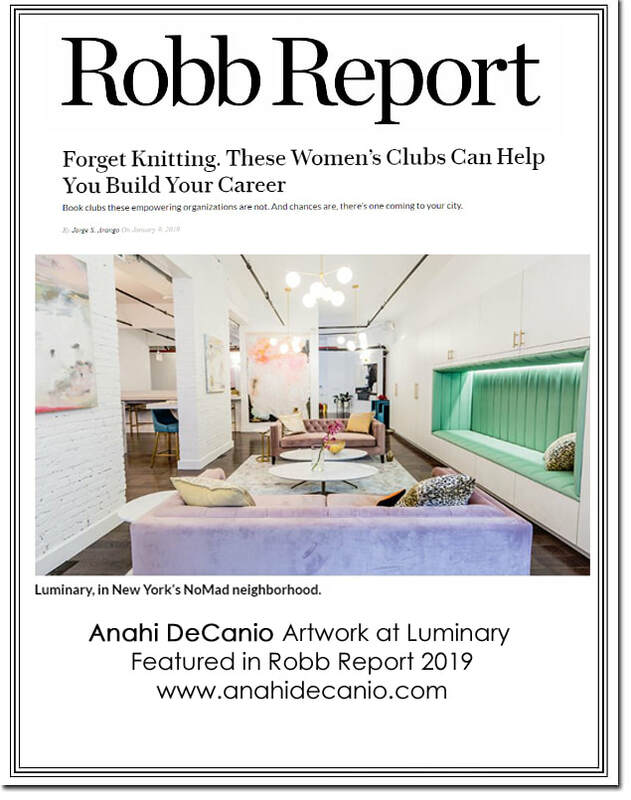 Just ask Cate Luzio, a career banker who found Luminary—a 15,000-square-foot establishment in New York’s NoMad neighborhood—this past November. “We purposely don’t call ourselves a club,” she says, explaining she prefers the descriptor “collaboration hub for women.” Luzio believes the potential elitism of old club models can actually be counterproductive. “Moving women around at the top is never going to change the numbers. When you step out of that box, real cross-pollination happens; when you have something exclusive, that doesn’t happen.” To that end, Luminary has an open application process and offers flexible memberships, day passes, and coming this January, a frequent-flier-style program, to allow for members of all backgrounds and socioeconomic statuses. Clearly, Luminary is no knitting circle—and it’s not alone in its quest. Last March, London’s AllBrightopened in an 18th-century Georgian townhouse with the mission to facilitate networking among women to “build their sisterhood” and “remedy the gender imbalance in the business world,” says cofounder Anna Jones says. In Minneapolis, The Coven is built on inclusivity, billing itself as a “creative, comfortable, and safe workspace for women and non-binary folks,” according to the organization’s cofounder Alex West Steinman. And another women’s collaborative space, The Wing, already has three locations in New York, one in Washington, D.C., and another in San Francisco just two years after initially launching. ​Leave it to the modern woman to turn the old club model of entitlement and exclusivity on its head. At The Coven, members include city councilwoman Andrea Jenkins, the first black openly transgender woman elected to public office. The club also sponsors a “five-for-one” community-funded membership program, whereby for every five memberships purchased, the club grants one free. “They’re prioritized to people of the community who have been historically pushed to the margins,” says Steinman. The new clubs also aim to create holistic spaces that cater to specific female needs. “If you look at women’s lives, what suffers most is wellness and self-care,” Luzio says. “Women need spaces for things like lactation and meditation. We provide a full ecosystem for them.” This includes a fitness studio with classes and a beauty bar. The AllBright also has a salon that offers members and their guests beauty treatments. Aside from a beauty bar with skincare products, The Coven tenders a “Parent + Prayer” room. If the new brand of women’s clubs aims to be everything to everyone, it seems to be working: The AllBright will open a second branch in Mayfair this spring that, at 12,000 square feet, is triple the size of the original. The Wing has its sights set on openings in Toronto and five more U.S. cities over the next few years. And The Coven has more than doubled its membership in just 10 months. Finally, it seems, we have a room—many of them in fact—of our own. ​What a privilege! Those who know me well know that I have been a big supporter of women moving forward to the best of their potential in whatever path they choose. Sometimes, its the actions that we take quietly and behind the scenes that matter most. In this case, I got to do it in bigger than life-size proportions - namely 9 feet tall! Cate Luzio, who has been an amazing force behind organizations that empower women, has launched a new venture called Luminary. This space allows women to connect, network, and take advantage of a myriad of services and opportunities. It's nothing short of fabulous in every way. 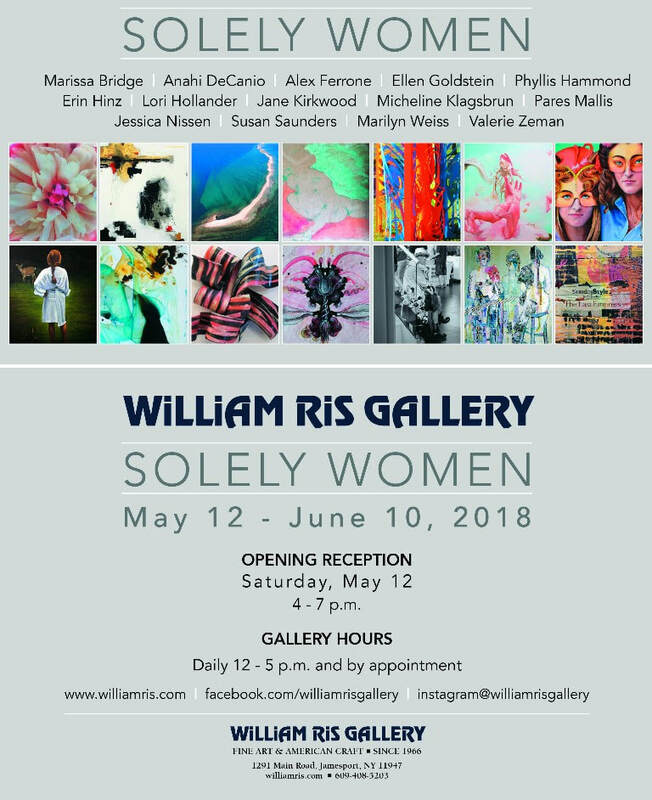 Through Mary Cantone's William Ris Gallery in Jamesport, on the North Fork of New York, I was invited to do a solo exhibit of my work for the launch. The exhibit was curated by the meticulous eye of Brooke Cantone. The Luminary team is an impressive group of women with expertise in various fields ready to put their seemingly endless energy to work. The launch was a great success with over 300 people in attendance. I'm so thrilled to be a part of this for so many reasons. As an artist, it's always an honor to be able to exhibit in wonderful spaces like this one. My background is finance and I was on Wall Street for many years. Those skills serve me well advising clients as a licensed real estate salesperson with Douglas Elliman and running "the business of art". 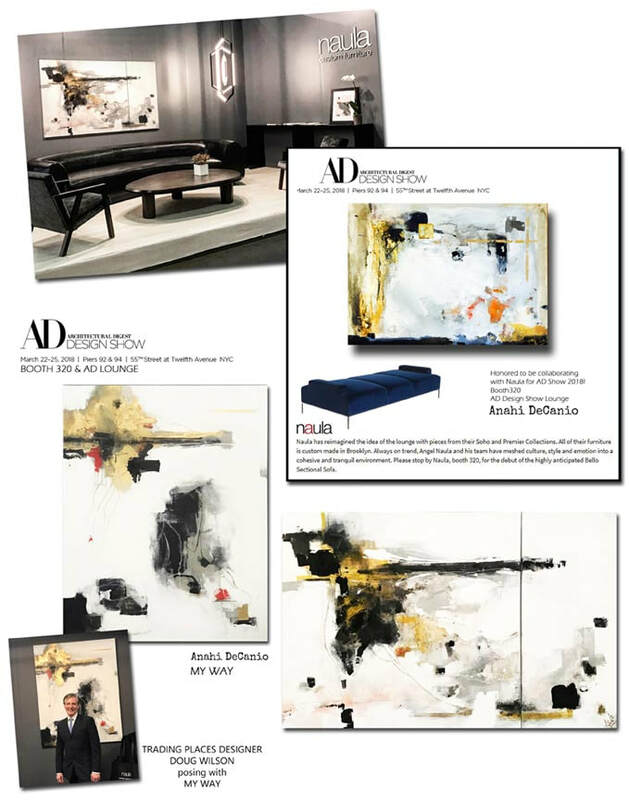 As a businesswoman, my worlds of art, design, real estate and architecture are complimentary to each other. There is a good synergy at the intersection of all those industries but it takes some definite balancing and hard work. I know first hand how important it is to have supportive forces and mentors that can open doors and provide insight. I'm so excited to see the energy behind new resources that provide opportunities for continued self development and growth. To combine both art and support women in the process is great inspiration for the start of the new year. 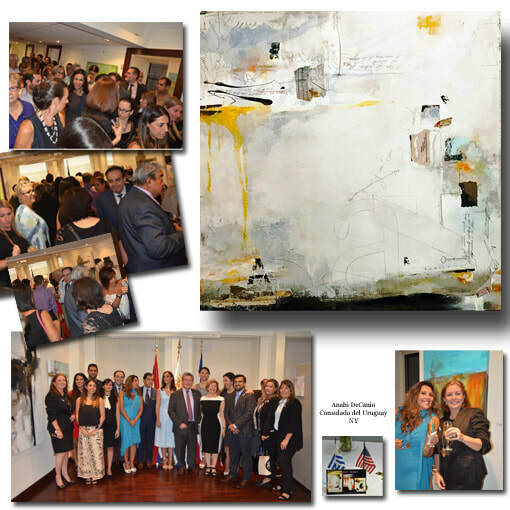 Anahi DeCanio exhibits in New York City at Consulate General of Uruguay. 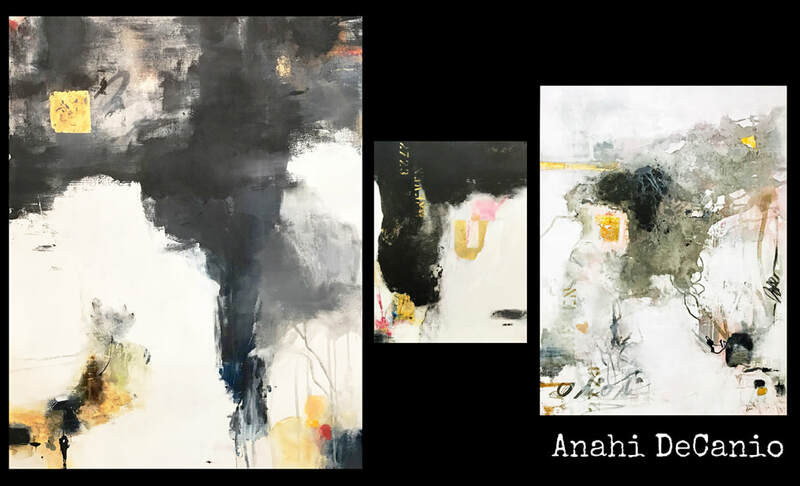 Anahi combines her worlds of art and design with her financial background as a full time licensed real estate agent with Douglas Elliman in New York. Artista plastica neoyorquina nacida exhibe muestra de arte en el Consulado del Uruguay con la actuacion de soprano uruguaya Luz del Alba Rubio. La muestra "Vivencias" de la artista plastica uruguaya neoyorquina Anahi DeCanio abre en el Consulado General del Uruguay en Nueva York a coincidir con celebraciones por el 25 de Agosto en conmemoracion del 193 Aniversario de la Declaracion de la Independencia de la Republica Oriental del Uruguay. La apertura de la muestra conto con la participacion de la destacada soprano uruguaya Luz del Alba Rubio. Anahi es una artista multidisciplinaria que usa medios mixtos, fotografias, y collage como su forma de expresion. Sus influencias son tan variadas como el arte que crea. Anahi ha atraido la atencion de la prensa en publicaciones como The New York Times, Time Magazine, y el Palm Beach Post. Sus obras han sido distinguidas con numerosas premiaciones, incluidos varios honores de primer lugar. Nacida en Uruguay, ha vivido en New York desde la adolescencia. 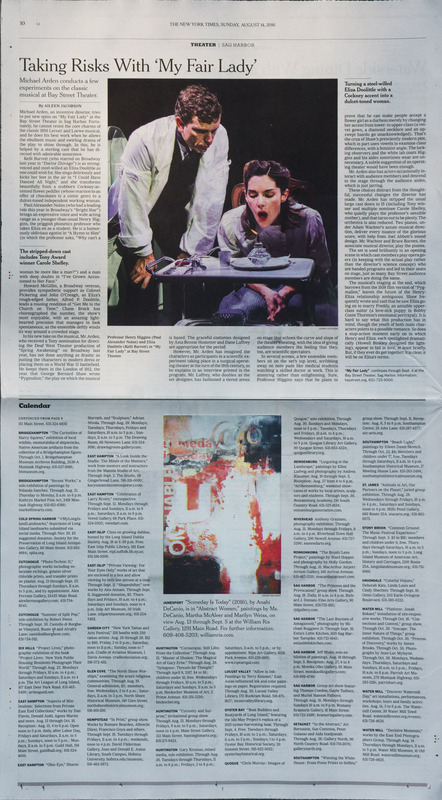 Su trabajo ha sido exhibido internacionalmente en variados lugares prestigiosos como museos y galerias importantes incluyendo el Boca Raton Museum of Art, Brown University, Steinbeck Center and Museum, Guild Hall, Art Basel Miami. Cuadros y fotogragias de la artista tambien son parte de producciones de cine y television. Anahi, es la directora creative de ArtyZen Homes y fundadora de eARThHAMPTONS. ​Usando su experiencia en finanzas y su pasion por el arte, Anahi es tambien asesora de bienes raices con la empresa Douglas Elliman. 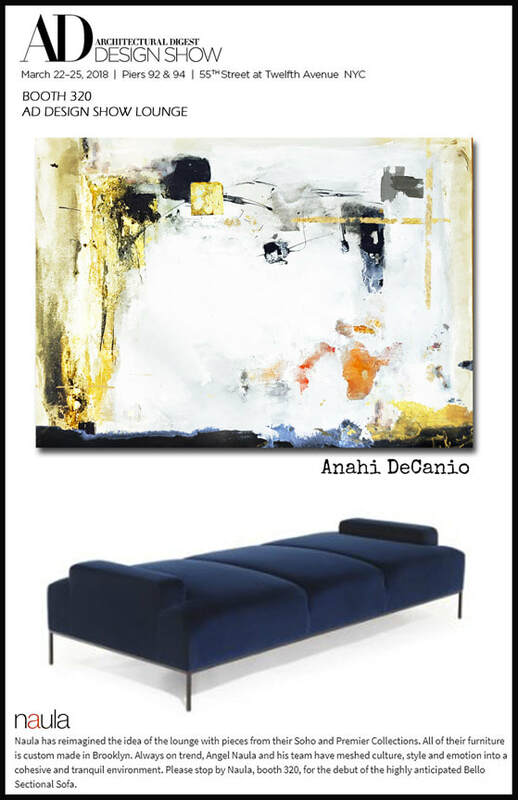 New York artist and realtor with Douglas Elliman Anahi DeCanio has solo art exhibit at the Consulate General of Uruguay in New York City. "Vivencias" was organized to coincide with the celebration of the commemoration of the 193rd anniversary of the Declaration of Independence of Uruguay on August 25th 2018. The well attended festivities included the participation of noted Uruguayan soprano Luz del Alba Rubio and features new abstracts. 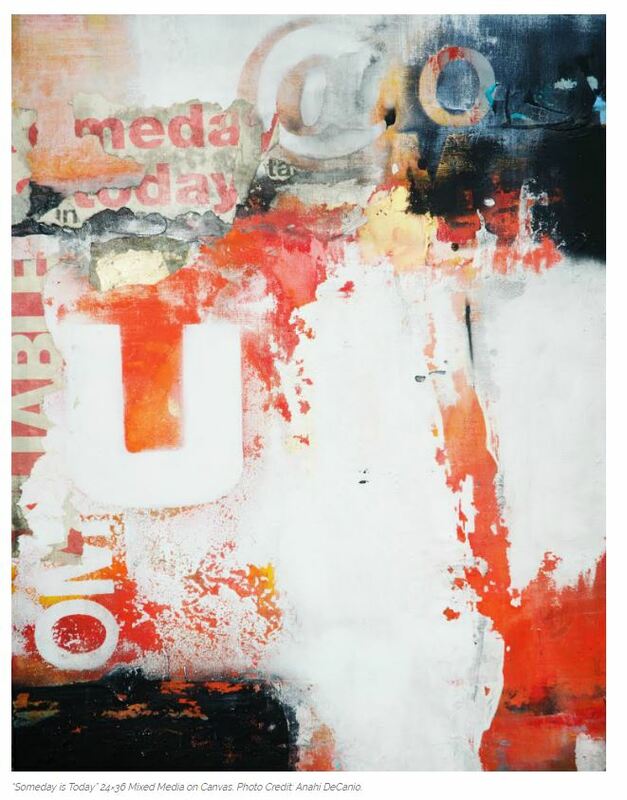 Ms. DeCanio is an award winning multi-disciplinary artist using mixed media as her favorite form of artistic expression. Her long previous career in finances combined with her design sensibilities are the perfect synergy in her role as full time realtor with Douglas Elliman in New York. "Design and architecture mixed with a solid investment background is a natural fit" says Ms. DeCanio. She serves on the board of Artists Alliance of East Hampton as the Communication Chair and on the board of the National Association of Hispanic Real Estate Professionals Long Island as the Sponsorship Director. ​This was a jaw dropping pleasant surprise. I was asked by the ALWAYS fabulous Rio Hamilton to answer a few questions for him. I thought nothing of it at first. The questions were fun and light hearted but thought provoking as well. I was rather busy at the time and it took a bit for me to respond. But he is detail oriented and the ultimate professional and kept following up. And then...this morning I see the link. He makes everything sound interesting - including me! I'm a genuine fan long before we even met. Look up the video of his place highlighted on Open House NYC and you'll catch a glimpse of his impecable taste and his warm and infectious personality. Must admit - I took screen shots of the video because I so loved how his home was designed. Mr. Hamilton has been a luxury lifestyle industry insider and connector for over 15 years. His expertise has a wide range but and is at its best cultivating and promoting creative luxury brands. Imagine how honored I must feel right now! 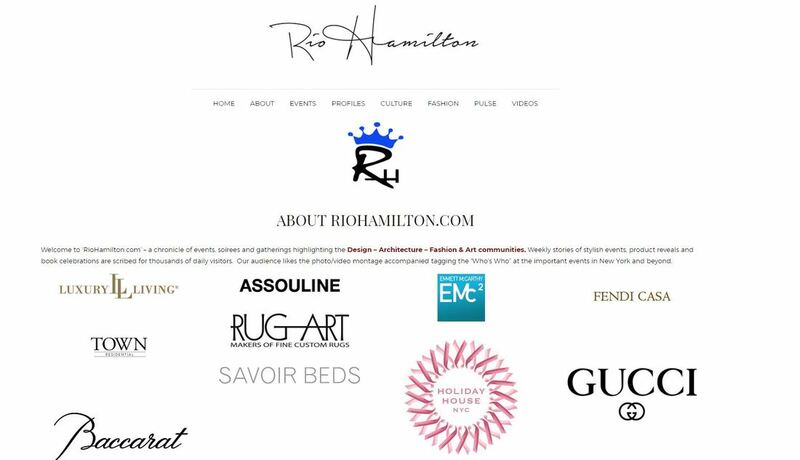 For those interested or involved in art, design, architecture, fashion and all things chic, Mr. Hamilton is a must follow! He is at the forefront of all things design. His fashionable appearances at design events are always memorable and substantive. Incredibly grateful to have had the chance to be part of this project. And yes... I'm gushing - but the love is real. 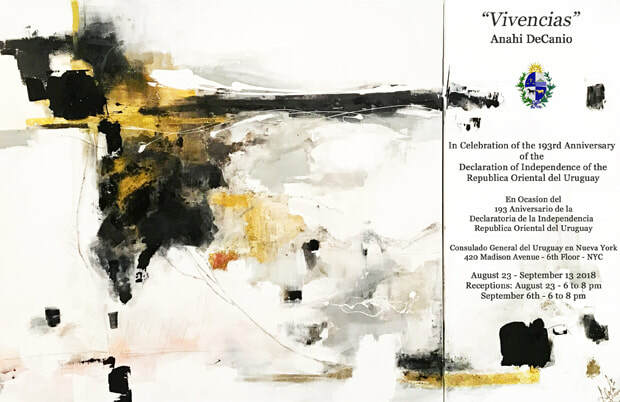 The Consulate General of Uruguay in New York City has graciously extended an invitation to artist Anahi DeCanio for an exhibition to coincide with a celebration to commemorate the 193rd Anniversary of the Declaration of Independence of Uruguay "Vivencias" - a title I "borrowed" from my dad who had started a book by that name will feature work inspired by her childhood in Montevideo and her love of New York. The event coincides with a celebration for the 193rd anniversary of the Uruguayan Declaration of Independence. An added highlight of the event is the participation of noted Uruguayan soprano Luz del Alba Rubio will perform. 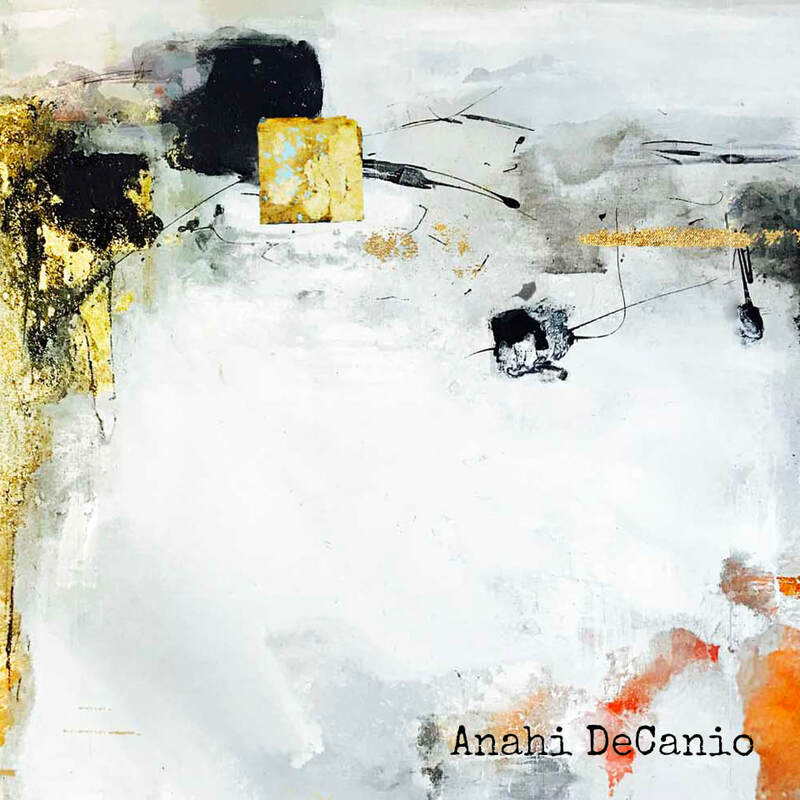 ​La artista plástica uruguaya Anahí DeCanio exhibirá nuevas obras abstractas en el Consulado General de la República Oriental del Uruguay en la ciudad de Nueva York. 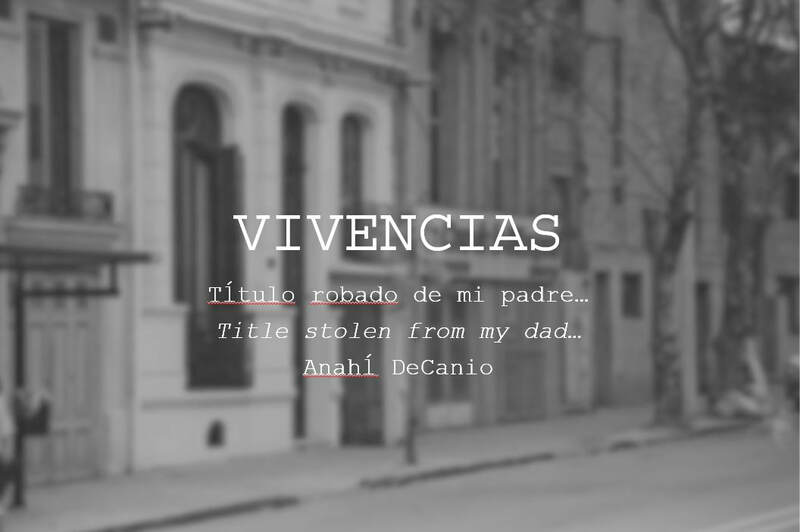 La muestra se titula "Vivencias" - titulo derivado de un libro comenzado por el padre de la pintora. La muestra coincide con la celebración del 193 Aniversario de la Declaratoria de la Independencia de la República Oriental del Uruguay. La recepción cuenta con la participación especial de la soprano uruguaya Luz del Alba Rubio. Once again, I will be organizing and curating eARThHAMPTONS 2018. 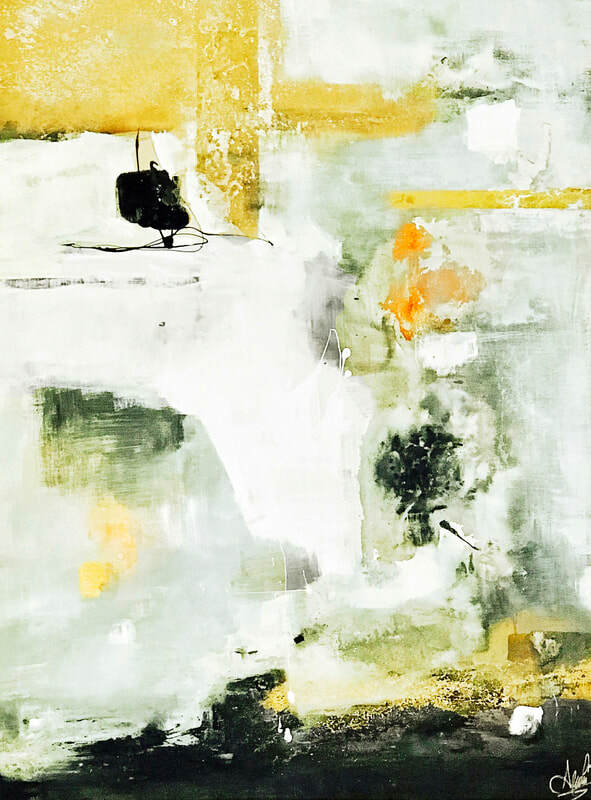 The event will feature a strong showcase of exhibiting award winning artists, design elements, and the participation of local farms and purveyors. The event will include additional programming of interest to a wide audience. We compliment other wonderful events and scientific presentations on the East End highlighting the importance of preserving the natural beauty around us. 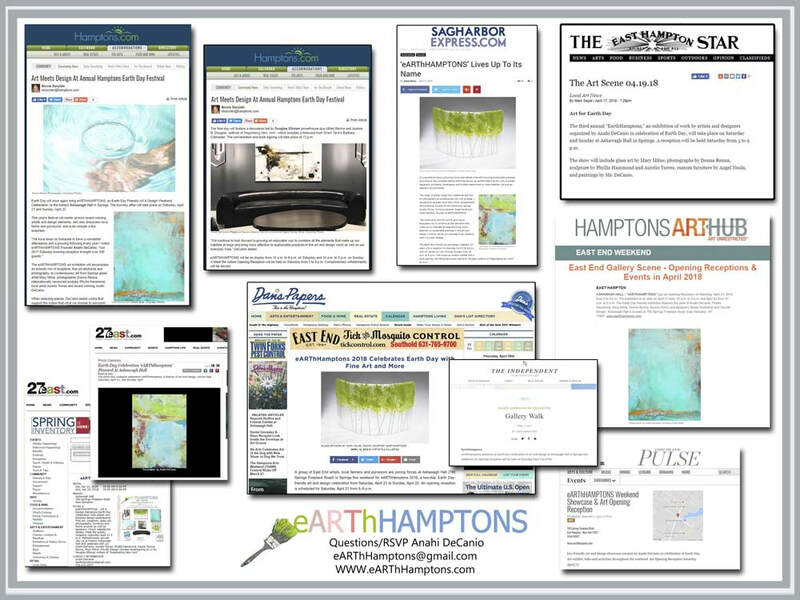 eARThHamptons focuses on the concept that our immediate environs and what makes up “home and habitat” can be beautiful while still honoring sustainable practices. The work of artists, designers, architects, landscapers, and builders combined to make healthier beautiful environments is a natural fit based on common ground. Anahi, who is also an agent with Douglas Elliman, is pursuing green certification to work with clients searching for those features in their homes. The art and design worlds work seamlessly with real estate. This year’s roster of artists brings a mix of eclectic styles and genres that range from sculpture, fine art abstracts and photography, to contemporary art. 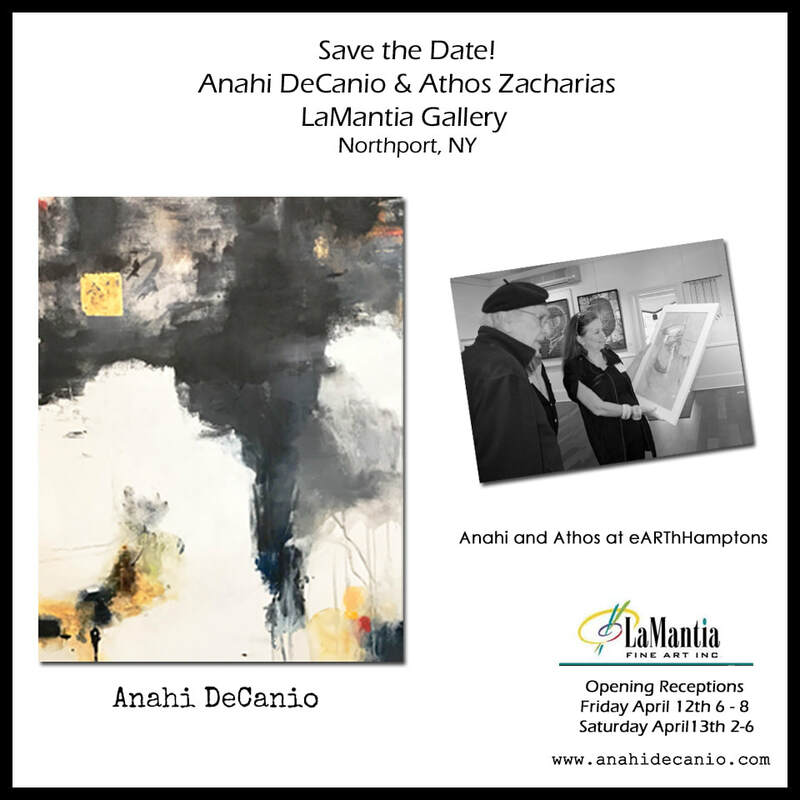 Anahi DeCanio of Douglas Elliman organizes Earth Day exhibit in the Hamptons for the third year.